In Sunrays and Lily Smiles, Liana Wendy Howarth has added to and included previous writings from her e-book, Fragrance from the Spring, a sweet collection of poetry for all ages. 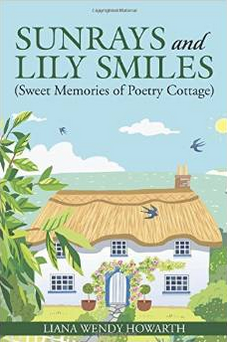 There's something for everyone inside her Poetry Cottage ... Poetry, song lyrics and encouragement. May you be blessed. Available in hardcover, softcover and e-book. And onto the beetle they were once again fused!